Toodaloo Katie: Smile Brighter with Smile Brilliant! Smile Brighter with Smile Brilliant! So as I'm sure you have seen in most of my photos, I have a hard time not smiling and it's always with my mouth wide open. I have always been a big smiler and I think that the most lovely thing about grinning and baring your teeth is that it's really infectious and that it helps others feel happy in a little way too. In middle school, I had a little help with my smile, when my teeth were straightened through the power of braces which I am very happy about. I have, however always had an issue with my teeth being a bit yellow, but had never really done anything about it. 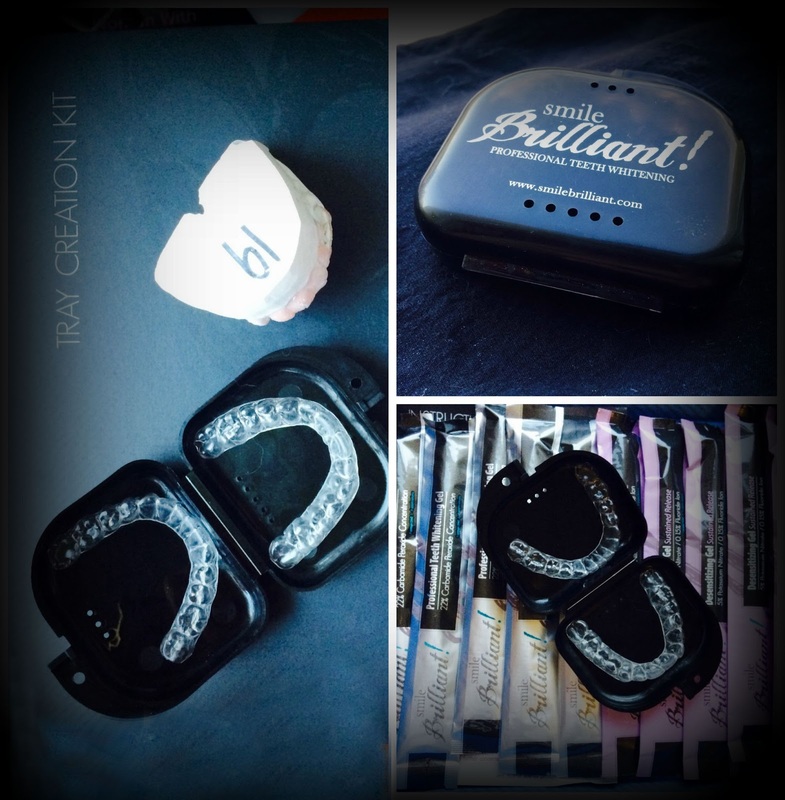 When I was approached by American based company Smile Brilliant to test out their at home whitening kit. It's the same caliber and precision of whitening as you would get at the dentist but for a fraction of the cost. 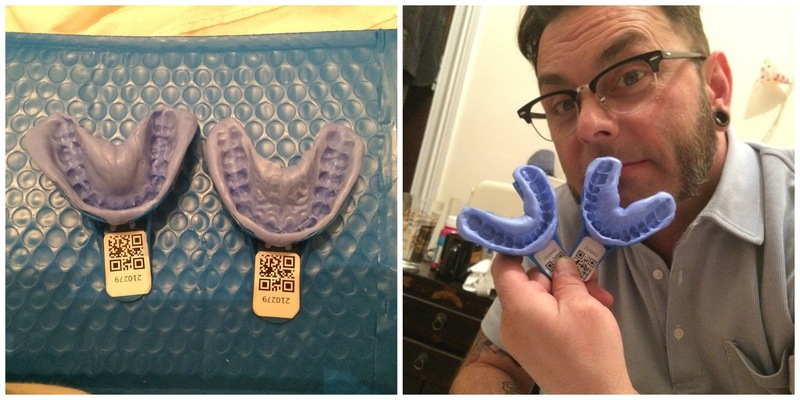 My partner, Steven, mentioned, when I was telling him about taking on this review, that he also has struggled with yellow teeth and has tried store bought treatments in the past, but has never had a long lasting effect or felt like any were particularly good so we decided to do it together. We were sent a kit in the post with trays and special dental puddy to create moldes of our teeth which we then sent back to Smile Brilliant. 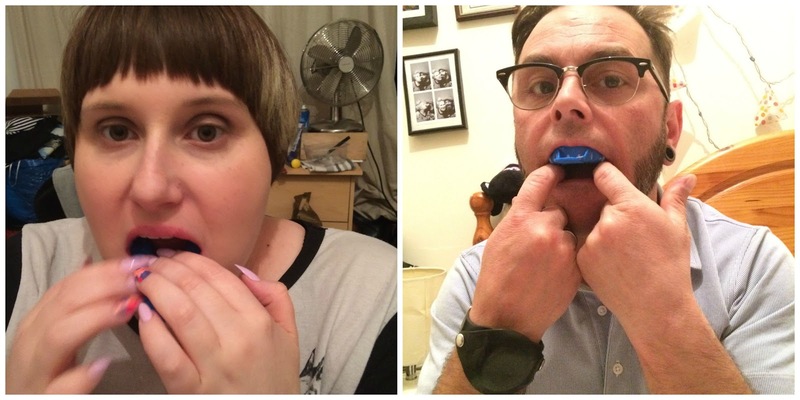 Within a couple of weeks, we were sent perfectly made trays that matched our teeth. From there, it was a simple task of using the whitening solution in the tray and popping the tray in for the allotted time. 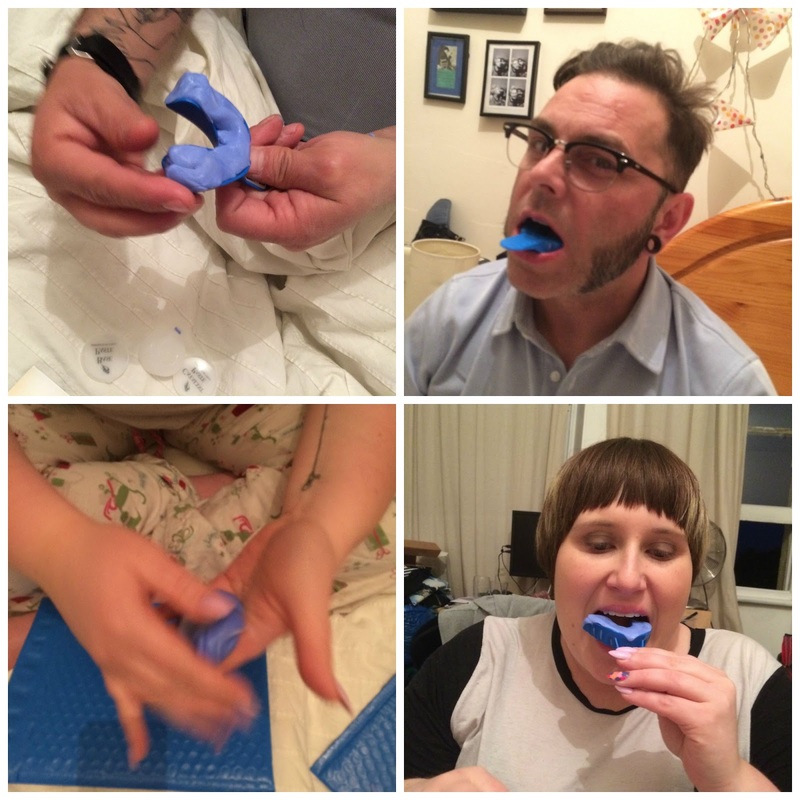 It really was a simple task and something that anyone could do - no less effort than using something store bought like whitening strips, only a lot less messy. Because the trays are fit to your teeth, it means they stay in place and you can get on with doing stuff as they work their magic. When you are done, you pop them out, rinse your mouth and the trays and store them in the handy little container that you can take with you anywhere. The Results: I used my trays once and did notice a difference in the colour, even after one go, however it made my teeth very sensitive after, which I found uncomfortable. I have had somewhat sensitive teeth most of my life, so it may come partially from that, but for me, this was a downside. 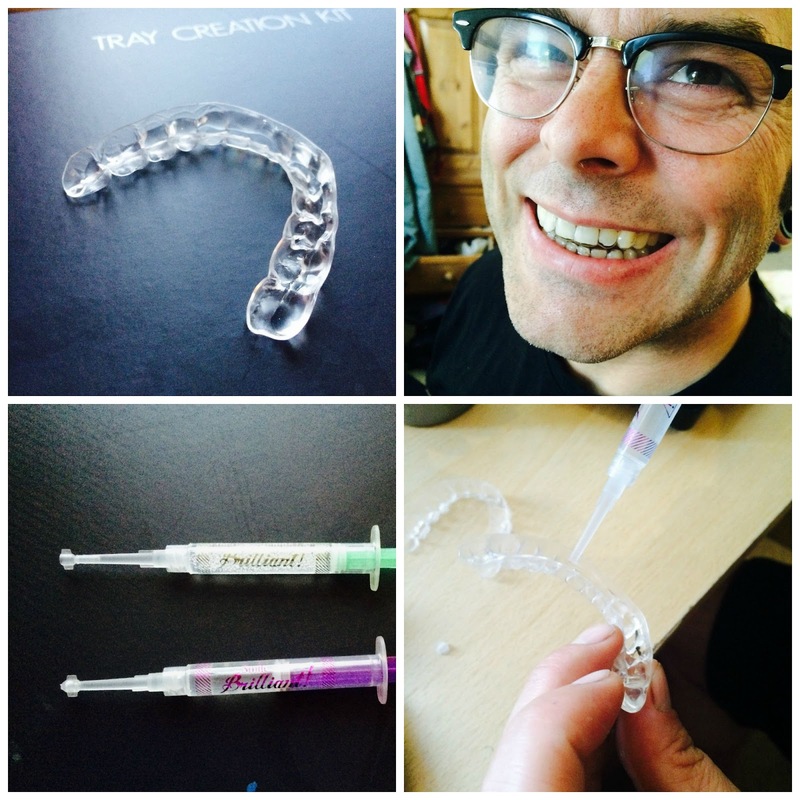 I spoke to Smile Brilliant about it and they were very helpful, and linked me to a couple of articles about what I was experiencing including Tooth Sensitivity, whether whitening is harmful to enamel, and if I had anything to worry about in terms of risks. For Steven, it was totally different. He was over the moon with his results. Not only was there a massive difference after one go, and even more as he continued to use the trays over a couple of weeks, but his teeth genuinely looked much better and most of the stains had faded or gone completely from his teeth. He didn't have any sensitivity at all and absolutely loves the system. Smile Brilliant is a great system if you want dentist style whitening but don't have the money to pay for the several trips to the dentist - it also means you can do it at your own pace and whiten for as long as you are comfortable. It still feels personal, as the tray fits your teeth and comes in a package just for you, so it's not like using something off the shelf at all. If you want to know more or try Smile Brilliant yourself check out their website.